Please note, Backhoe Rental – John Deere 310SK TC, is currently NOT available for rent in Rochester NY, Ithaca NY and the entire Western New York region from the Duke Company. 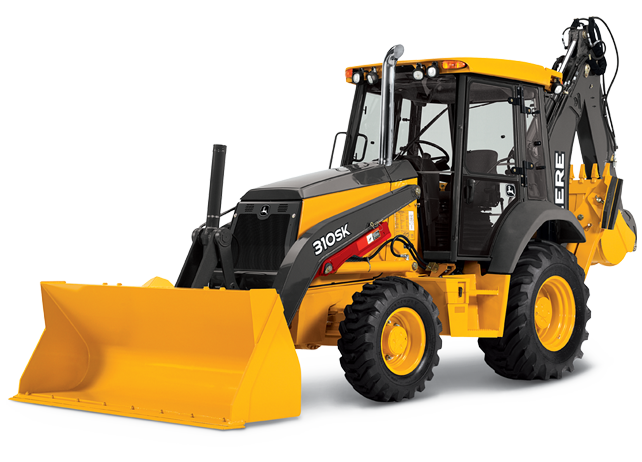 This rental backhoe is noted for its backhoe to excavator controls by pushing a button, limited slip mechanical front-wheel-drive and its exclusive electrohydraulic-controlled loader and backhoe. The machine generates 102 horsepower at 2,000 RPMs, has a digging depth of 14 feet, 11 inches, loader breakout force of 11,450 pounds and loader lifting capacity of 7,215 pounds. T The 4 wheel drive machine, with enclosed cab and exteneded hoe, has an operating weight of 19,855 pounds. Download the detailed specifications for the John Deere 310SK TC backhoe and entire K-Series backhoes. Documentation includes extensive, detailed model information, net power, operating weigh, backhoe digging depth, loader break-out force and loader lift capacity.